Cedar Cliff Superintendent Chad Mason discusses school safety with the new Cedarville Police Chief Jimmy Combs following a community meeting regarding added security measures. Submitted photos Superintendent Chad Mason welcomes Cedar Cliff’s new security officer, Tom Jones, to the district. CEDARVILLE — Students in Cedarville will see a friendly new face in the fall. The district announced April 10 that it has hired Tom Jones as campus security officer. The hiring comes less than six months after parents packed the November school board meeting asking the district for some type of school resource officer. The security officer will be armed and provide support until law enforcement can arrive in the event of an intruder or safety issue and will also perform functions such as overseeing the district’s in-school suspension program, working with special needs students who need academic accommodations, filling in for absentee teachers, or assisting students who need academic recovery for graduation purposes. Jones has worked in the district for several years, knows the students and staff and will be a calm presence for the Cedar Cliff family, Mason said. In addition to discussing the added armed campus officer, Mason also welcomed the new Cedarville Police Chief, Jimmy Combs, who has served in law enforcement with Jones in the past. In addition to adding the security position, the board of education also recently approved Anchorman Locks for every classroom in the district and will be contracting with a background investigation company for adult background checks for elementary youth sport programs, overnight chaperones, and volunteers serving in the district. “The board of education and the administration take school safety very seriously and we believe these added measures will only improve an already stellar educational environment for our students,” Mason said. The district will also be adding to its counseling department by working with the Greene County Educational Service Center and increasing the mental health services for district students. “If you truly care about students, it is not enough to merely add armed response as a security measure, we should strive to be equally vigilant in providing the counseling and mental health services our students need before they reach a crisis stage,” Mason said. 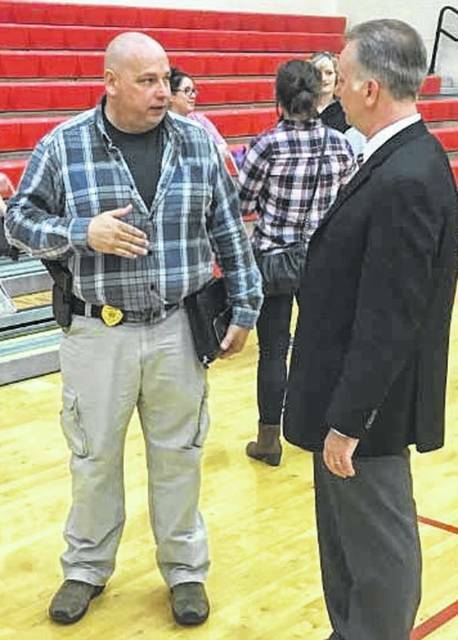 https://www.xeniagazette.com/wp-content/uploads/sites/32/2019/04/web1_Cedarville-officer-2-copy.jpgCedar Cliff Superintendent Chad Mason discusses school safety with the new Cedarville Police Chief Jimmy Combs following a community meeting regarding added security measures. 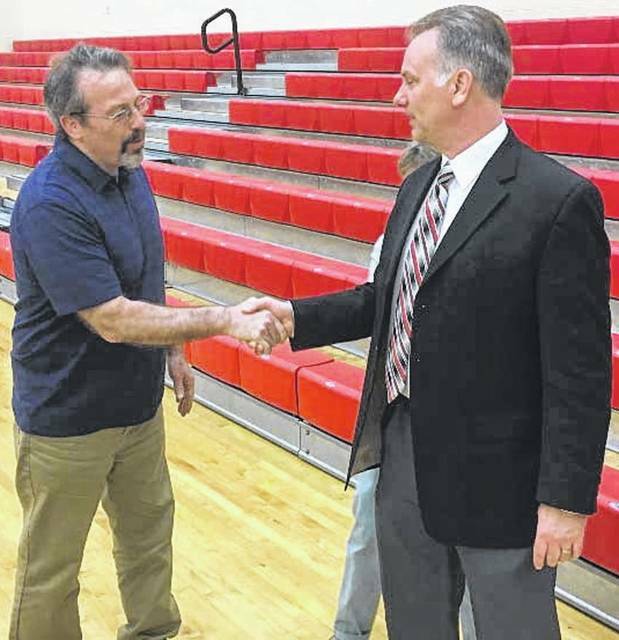 https://www.xeniagazette.com/wp-content/uploads/sites/32/2019/04/web1_Cedarville-Safety-officer-copy.jpgSubmitted photos Superintendent Chad Mason welcomes Cedar Cliff’s new security officer, Tom Jones, to the district.